stcarp has no other items for sale. There are 206 items available. Please enter a number less than or equal to 206. SUPER FAST SHIPPING. THANK YOU WILL ORDER FROM AGAIN. Super fast shipping..item as described...Thank you!!!!! If you have a Howard Miller wall or mantel clock and lost the key, buy this one! What can I say? I have a Howard Miller short drop wall clock and the key works great. It's made in a way to provide good leverage in order to wind even the strongest springs with ease. It works like a dream. 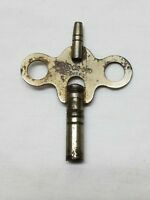 This is a very nice key made out of a heavy metal. My previous replacement key was of lighter weight metal and eventually the handle snapped off. It was replacement for a lost key. It fits perfectly and my clock runs well now that I can wind it. 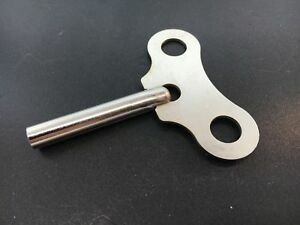 Ordered winding key for clock, worked perfectly. Also looks good. It's the right key for my Howard Miller mantle clock at a decent price. Howard Miller would not ship one to Canada.